Busy times in the On Landscape offices as we've been asked to judge the first round of the Landscape Photographer of the Year competition and also to act as technical arbiter of both the Landscape Photographer of the Year and the Wildlife Photographer of the Year competitions. At the moment we're looking through thousands of photos and we hope to be able to talk about the process in a future issue. All I can say at the moment is that there was no problem picking a selection of great images out of the submissions - there is some amazing and varied photography around. We're also moving offices from the city to the country (from Leeds to the Yorkshire Wolds), a busy time but the future ability to just open the door and be in beautiful landscape is one that I hope will be the impetus to kick my own photography off again. 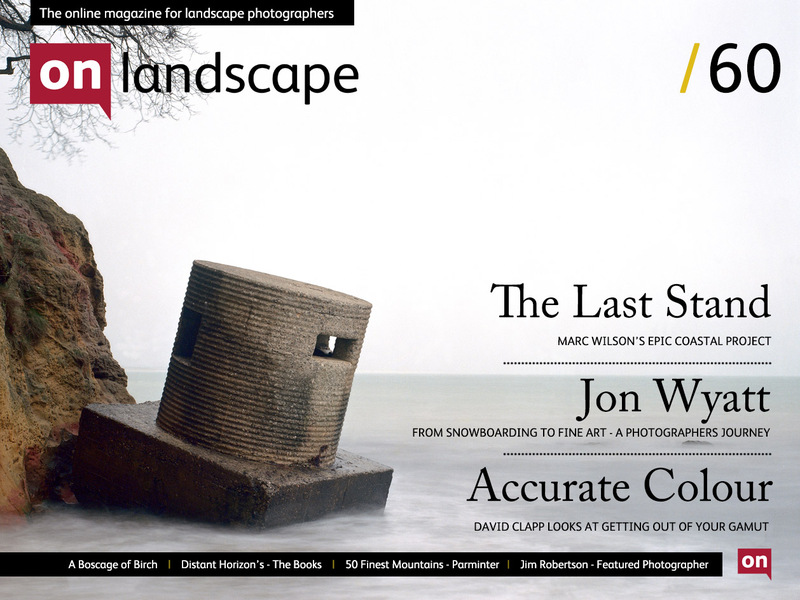 Our feature article this issue is a video interview with Marc Wilson about a project that requires an awful lot of travel documenting the decaying sea defences of the second world war. Both Marc Wilson and David Langan are raising money for projects through crowdfunding, David's own project is a more local affair, working within a few hundred square yard area near his home Aberdeen. Jon Wyatt writes about his move from winter sports photography to fine art and David Clapp has created a video describing gamut clipping in Photoshop and Lightroom and what you can do about it. We've spent some time getting our book photography up to scratch and hope to feature more of the great range of new and out of print books that we've researched. 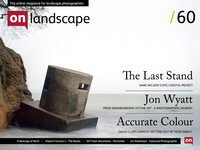 This issue has a brand new book from On Landscape acquaintance John Parminter and a selection of books by Neil McIlwraith from Beyond Words as a follow up to our Distant Horizons article in the last issue. 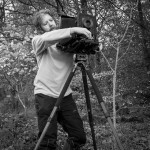 Finally our Featured Photographer, Jim Robertson, has a particular affinity for the coast. From his home near Lossiemouth he produces some excellent seascapes.